Global X Sports - Morgan awards Global – best distributor of the year. Morgan awards Global – best distributor of the year. 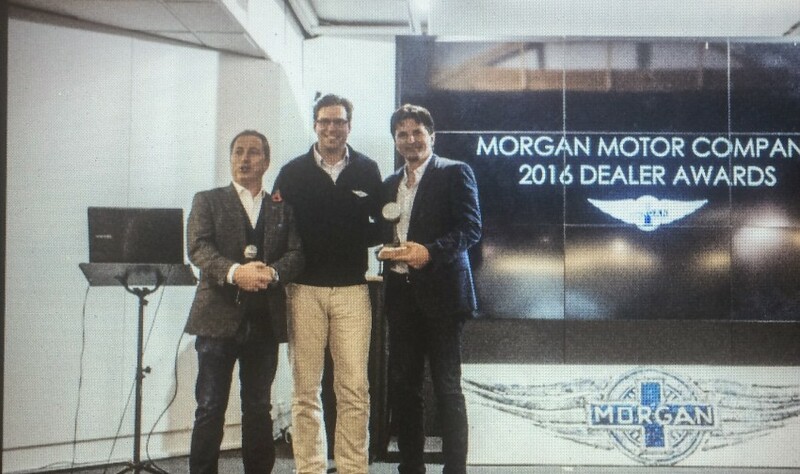 In November 2016 at the annual Morgan Dealer Conference held in Malvern, UK, Global X Sports Group was awarded Morgan’s best distributor of the year. Steve Morris (Morgan’s Managing Director) and Dennis de Roos (Morgan’s Commercial Director) presented Fabrice Odeide (Global X Sport’s Managing Director) with the award.